ශ්‍රී ලංකාවේ පැරණි අගනුවරක් වන ඵෙතිහාසික පොළොන්නරුව චෝල ආක්‍රමණිකයන් විසින් මුලින්ම අගනුවර කරගන්නා ලදී. 1070 දී පමණ චෝල ආක්‍රමණිකයන් පලවා හැරීමෙන් පසු Iවන විජයබාහු රජ විසින් තම අගනුවර වශයෙන් තෝරා ගන්නා ලදී. මෙම කෙටි කාලීන චෝල යටත් විජිත සමයේදී පොළොන්නරු ප්‍රදේශය ජනනාතමංගලම් ලෙස හැදින්වූ බව සඳහන් වේ. පළමු විජයබාහූ රජුගෙන් පසු රජකමට පත්වන මහා පරාක්‍රමබාහු රජුපොළොන්නරු යුගයෙහි හමුවන සමෘද්ධිමත්ම රාජ්‍ය පාලකයා වශයෙන් සැලකේ. පැරකුම් රජ සමය, පොළොන්නරුව රාජධානියෙහි ස්වර්ණමය යුගය ලෙස හැදින්වෙන අතර එම කාලවකවානුව තුල ආර්ථික හා කෘෂිකාර්මික සමෘද්ධියක් රට තුල ඇති කිරීමට මහා පරාක්‍රමබාහු රජු සමත් විය. අහසින් වැටෙන එකඳු දිය බිඳක් හෝ ප්‍රයෝජනයට නොගෙන මුහුදට නොයෙවිය යුතුය යන අධිෂ්ඨානයෙන් කටයුතු කල මහා පරාක්‍රමබාහු රජු රටේ වාරිමාර්ග පද්ධතියේ ඉමහත් දියුණුවක් ඇතිකරමින් රජරට ප්‍රදේශයේ සශ්‍රීකත්වය සඳහා අවශ්‍ය කටයුතු සැලසීය. පැරකුම් රජු විසින් ඉදිකල සුවිසල් පරාක්‍රම සමුද්‍රය වාරිමාර්ග පද්ධතියේ දියුණුව උදෙසා ඔහු කල සේවය මැනවින් නිරූපණය කරන්නකි. මෙම යුගයේදී රට සාමකාමි හා ස්වයංපෝෂිත බවින් යුක්ත වූ අතර සහල් පවා මෙරටින් පිටරට යැවූ බව පොතපතෙහි සඳහන් වේ. Set in Polonnaruwa, Saffron Guest Inn boasts a garden, shared lounge and free WiFi throughout the property. Boasting a 24-hour front desk, this property also provides guests with a sun terrace. Staff on site can arrange airport transfers. At the guest house all rooms are fitted with a balcony. The private bathroom is fitted with a bath. At Saffron Guest Inn, all rooms are equipped with air conditioning and a TV. Bike hire is available at the accommodation, while the area is popular for cycling. 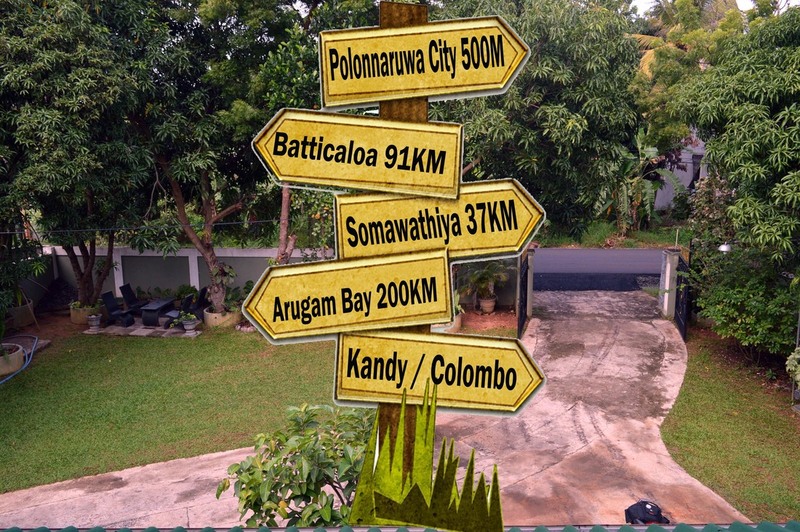 Polonnaruwa is 1 km from Saffron Guest Inn. 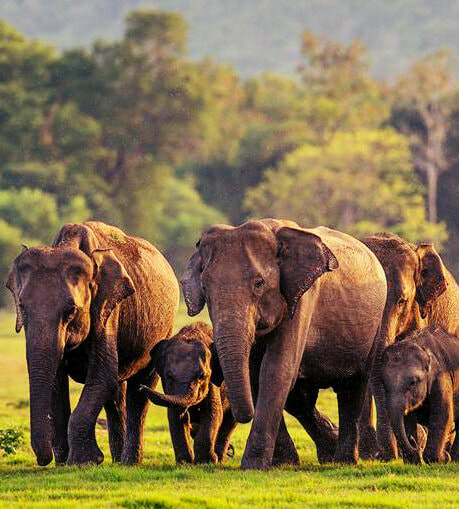 ​Poḷonnaruwa (Sinhalese: පොළොන්නරුව, Poḷonnaruwa or Puḷattipura, Tamil: பொலன்னறுவை, Polaṉṉaṟuvai or Puḷatti nakaram) is the main town of Polonnaruwa District in North Central Province, Sri Lanka. Kaduruwela area is the Polonnaruwa New Town and the other part of Polonnaruwa remains as the royal ancient city of the Kingdom of Polonnaruwa.